It’s the first weekend in June, and the rolling toplands of Hastings Mesa in southwestern Colorado are exploding with the early greens of summer. A meadowlark shatters the sky with its ballad, and the leaves unfurling in a small stand of aspens are chartreuse to the point of lurid. On a small ranch located near the mesa’s lip, 13 alpacas in various shades of white, brown and black stand mewling in a pen, their giant eyes and graceful necks giving them a girlish femininity. Sonnie Gustamantes — a diminutive 78-year-old man in Wranglers who keeps his silver ponytail in place under a rolled-up bandana — and a small crew of helpers sandwich the animals, one by one, on a table-like contraption outside the pen and tie down their limbs. Once an alpaca is still, Gustamantes fires up his heavy-duty steel clippers, the handle of which he says has molded to his hand with five decades of use, and shears its supple coat. Tufts of downy fur peel away from the neck, stomach and back of the animal as Gustamantes works the shears deftly around its body. Smaller fluffs drift through the air to fall lightly on the dirt, and the alpaca shrinks before my eyes. Within minutes, the newly-sheared alpaca, looking comically skinny and self-conscious, is led into a separate paddock on the hillside to graze under the watchful eye of a large white dog named Ivar, while the fiber is swept into garbage bags for sorting, cleaning and eventual sale. 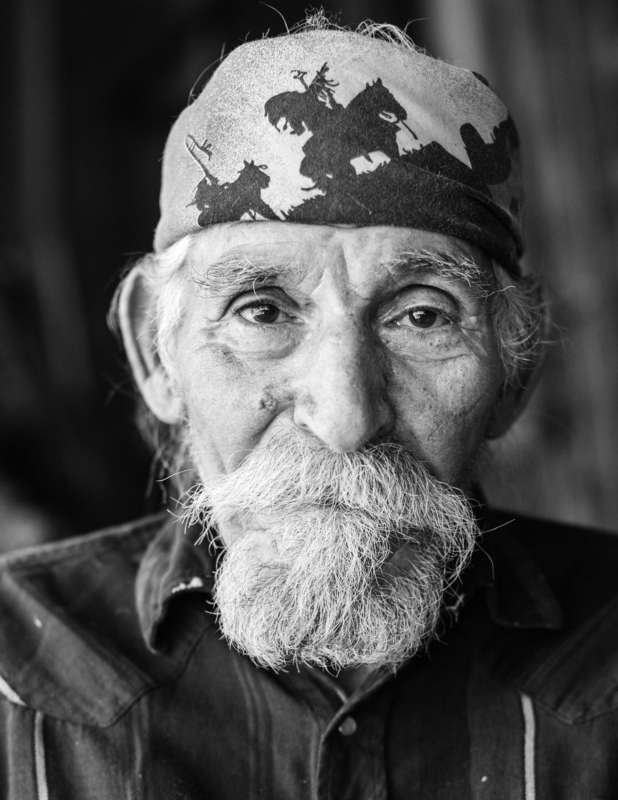 For Gustamantes, who comes from a line of Apache and Basque men who built their lives around the cycles and herding patterns of stock animals, it’s in the blood. His father was a sheep shearer, as was his grandfather and great-grandfather too. He passed the skill to two sons and four grandsons, two of which — he calls them Fish and Little Bear — work alongside him today. He’s been tending herds since he was a teenager, when he spent summers high up in the Aldasoro ranchlands outside of Telluride. It’s all he’s ever known, and all he’s ever wanted to do. These days, he’s pushing 80 and still maintains a busy spring schedule of what is indisputably hard, dirty and dangerous work. He’s had his fair share of kicks and bites dealing with unruly animals and been spit on plenty. He’s never gotten rich doing it. In recent years, he’s had two strokes, which has left his speech slurred. And yet, after 64 years of shearing, Gustamantes has no plans to stop. Gustamantes’ great-grandfather was full-blooded Apache, his great-grandmother Basque. (Family lore has it that he saw her working in a garden, kidnapped her, and made her his wife.) However it went down, they settled in the White Mountains of Arizona, and he sheared sheep. By the time his grandson, Sonnie, was born in 1939 at Roswell, New Mexico, the trade had been passed down through the generations to Sonnie’s father, Richard. Gustamantes grew up with four brothers and two half-sisters in a family that moved to Cortez in 1946. He picked up the trade himself at age 14, in 1953. Two years later, his dad insisted he hire himself out as a shepherd, he says, “so I wouldn’t stay in town and get in trouble, drinking firewater.” Gustamantes herded sheep from Cortez to Aldasoro and spent solitary summers looking after them. Before long, tending and shearing animals was integral to his life. When he served in the Army, from 1962 to 1969, he took his furloughs during the spring so he could shear. And it was on a farm outside of Cortez that he met his wife of 50 years, Priscilla, whose father had hired Gustamantes to shear his sheep. In his heyday, Gustamantes chased work across the country, driving through The Dakotas, up to the Canadian border and across to Nevada in a season, shearing as many as 40,000 head of sheep in 15 days. He would start on February 1 and wouldn’t return home until August, wearing out a pickup truck every two years. The job seems pretty basic: cut the hair off of an animal. But when you spend a little time with Gustamantes, you see there is a touch, a sense, an intuition to getting a good shear. A shearer must see the contours of an animal — which is often attempting to wriggle away — with his hands while steering a 10-pound vibrating blade. Just holding the shears made my forearm tired. In the way only years of experience can cultivate, Gustamantes makes it look easy. But he insists that a good crew is also necessary. Today, he is accompanied by Fish, born Azril Wright, who is 9, and Little Bear, born Jules Slowman, who is 14. They are on a shearing tour with their grandpa, driving around the West in a Chevrolet Horizon van they camp in, towing Gustamantes’ worktable behind them as they travel from job to job. The job allows the boys to travel, hang out with a man they clearly love, meet people and make a little money. But for Gustamantes, it’s also about something bigger: passing on his legacy. Because, aside from the fact that the work is hard, the hours long, and the travel demanding, the industry is also changing. The shearer is going the way of milkmen. There are fewer ranches these days, Gustamantes says, and the sheep shearer is a diminishing breed. “Not many young people want to learn this trade because it’s hard work,” Gustamantes says. But unlike milk deliveries, shearing isn’t something that can be replaced by technological progress. I tell Gustamantes that I’m out of questions.